The remote islands of the Alphonse Group in the Seychelles, off the East Coast of Africa, is both isolated and teeming with extraordinary pelagic species. A worthy challenge for any fisherman worth his or her salt. Established on Alphonse Island, the Alphonse Fishing Co. gives guests premier access to Alphonse and St. François Atolls, Astove Atoll and Cosmoledo Atoll. 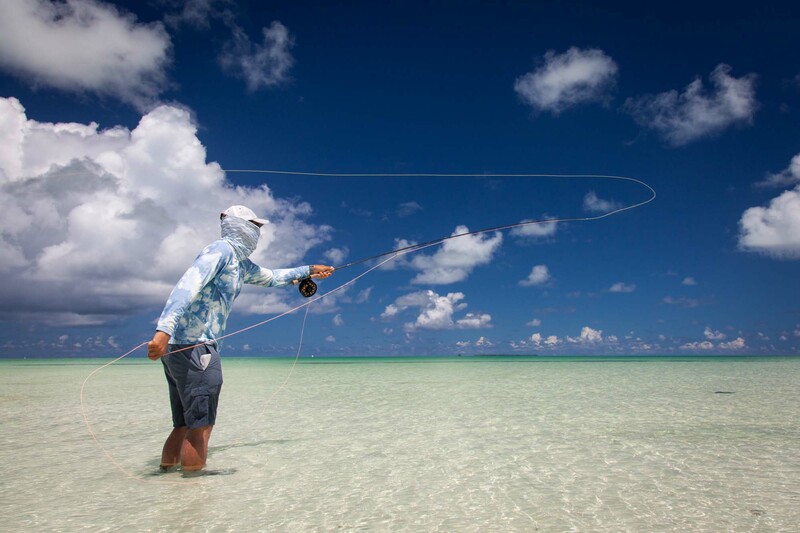 The atolls offer a combination of wadeable flats, shallow clear lagoons and sheer drop-offs which create exhilarating saltwater fly fishing experiences. 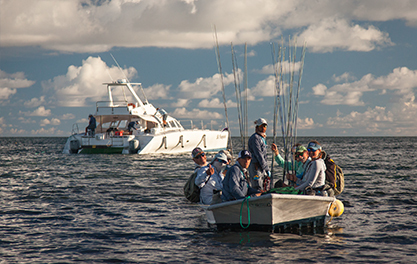 Equipped with a full team of expert guides and skippers, superior boats, top of the range equipment and a strict catch-and-release policy, Alphonse Island also guarantees professional game fishing like no other. A super predator that is found at all our destinations in good numbers with specimens as large as 120lbs. Cosmoledo is considered the GT Capital of the World with more GT’s caught here than anywhere else in the world. Where Cosmoledo holds larger numbers of GT’s, Astove is known to hold larger specimens. Alphonse also holds a healthy number of GT’s which are on average larger than those found at Cosmoledo. This apex predator can be found hunting in the deep waters of the atoll lagoons as well as shallow flats. 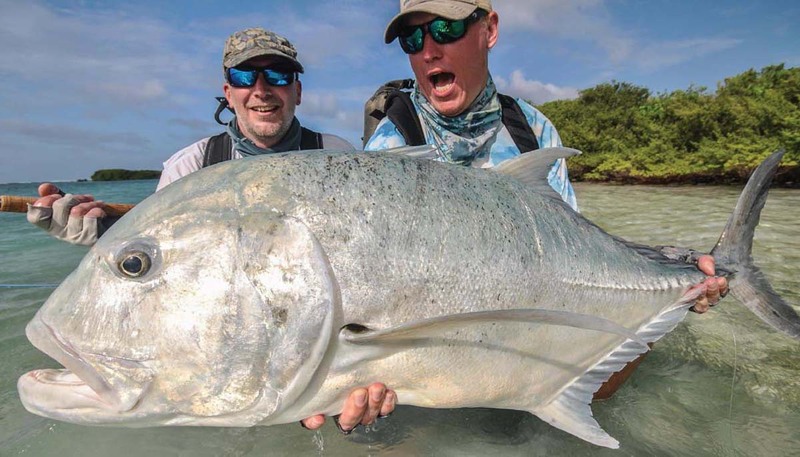 Find our everyting you need to know about Fly Fishing Giant Trevally. This colourful and energetic species can be spotted (and targeted) while feeding in the shallows, both up on the flats and on the reef edges. 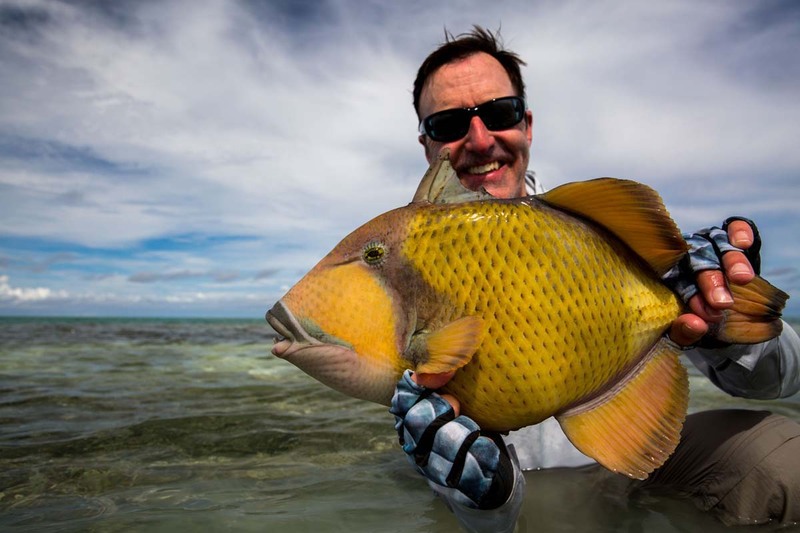 Known as a Giant, Titan or Moustache Triggerfish, it is the largest of the three species that can be caught in similar numbers at Alphonse, Astove and Cosmoledo. Alphonse guides were the first to develop the flies and techniques to catch these feisty fish, as well as to introduce Triggerfish as a much sought-after trophy for flats fishermen. Also known as Pompano, the Indo-Pacific Permit is a member of the Carangid family and a relative of the Atlantic Permit. 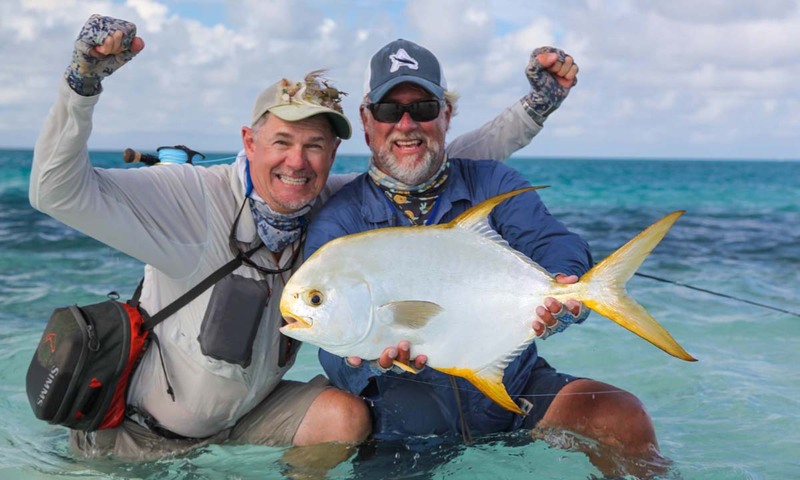 A trip with Alphonse Fishing Co. will prove optimal if you’re targeting this golden-edged beauty as Astove, Alphonse and Cosmoledo all hold good populations of Permit. Found at both Alphonse and St. François Atolls, Astove also holds a large population within its shallow lagoon and Cosmoledo holds slightly less but larger specimens. These shimmering carnivores can reach a meter in length and weigh up to 35lbs. This finicky algae feeder and ferocious aerobatic fighter reaches lengths of up to 180cm and can weigh over 50lbs. 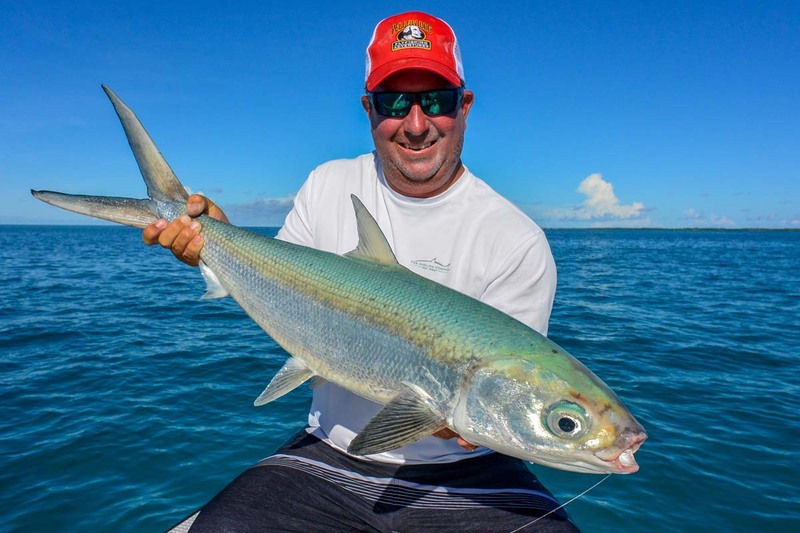 The Alphonse guides were the first to develop the flies and technique to lure in these fork-tailed devils; in fact the first Milkfish caught on fly was at Alphonse and the St. François lagoon. With more Milkfish caught here than anywhere else, Alphonse is the best destination in the world for this species. These large-eyed beauties can often be spotted in small pods with their tails protruding, both on the flats and offshore at all of our fishing destinations. For more information on these species and to see how they match up with others, have a look at our 39 Legendary Fish to Catch on the Fly Infographic.